Whether you have an emergency outage, inspection requirement, lighting upgrade, or the need for additional capacity, Ferran can address all your electrical needs. Upgrading your overloaded or obsolete panels can save you a pricey service calls to restore power. Whether an emergency outage, inspection requirement, or the need for additional capacity, Ferran can address all your panel-related needs. Protect your most valuable investment by installing a whole-house surge protector. These devices can detect and divert surges in power caused by damage to power lines or lightning. From complete rewiring, to upgrades from aluminum to copper, Ferran can tailor a rewiring solution unique to your home’s needs. Thermal imaging is the safest and most efficient method for the early detection of problems in your home’s electrical system. Whether taking control of your energy costs or adding a new chandelier, Ferran can accommodate all of your lighting requests. Illuminating the exterior of your home with security lighting can deter unwanted visitors and make it easier to navigate driveways and pathways. Don’t allow a power outage to leave you in the dark. From a whole-house system to just the basic essentials Ferran can install a stand-by generator that will increase the value of your home and improve the quality of life for your family during an outage. Ferran is licensed and certified through the Florida Solar Energy Center to install photovoltaic electrical systems in your home. 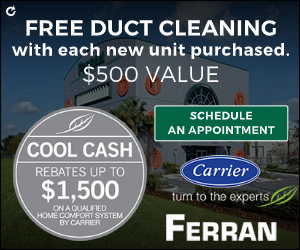 Notice that Ferran’s quote to replace your air conditioner is more comprehensive than others? That is because Ferran understands the that there is a Science to replacing your home’s AC. Your unit is only part of your home’s complete heating and cooling system! Keeping your home running at its peak, can be a daunting and difficult endeavor. 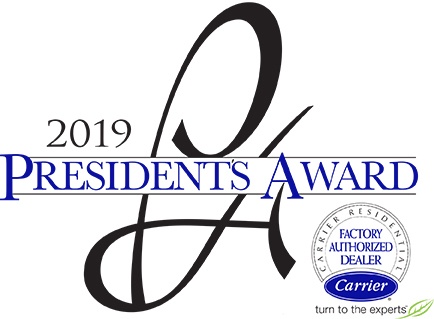 Whether you are looking for the latest in hybrid water heaters, considering a lighting retrofit, or upgrading to a high efficiency air conditioning unit, Let Ferran be your ONE STOP SHOP for Air Conditioning, Electrical and Plumbing Home Performance Needs! Water costs unexplainably creeping up? You could have a leak! Let one of our experienced plumbers, along with our electronic leak detecting equipment, help you solve the mystery. Our team can handle all of your plumbing needs, including service and replacement of fixtures! Upgrading your overloaded or obsolete panels can save you a pricey service call to restore power. Whether an emergency outage, inspection requirement, lighting upgrade, or the need for additional capacity, Ferran can address all your electrical needs. At Ferran, you have our promise! Ferran Services & Contracting has been serving Central Florida Air Conditioning, Electrical, and Plumbing needs for close to 100 years! We provide residential, commercial and construction services to Orange, Seminole, Osceola, Lake, Polk, Volusia, Flagler, and Brevard counties.